Dellorto factory service Kit for the Dellorto VHB, VHBT and VHBZ series carburetors with individually cable operated slides. Contains all required gaskets, seals and o-rings to service 1 carburetor of this series. Also contains 2 rubber cable boots. This is item number 72 in the drawing. 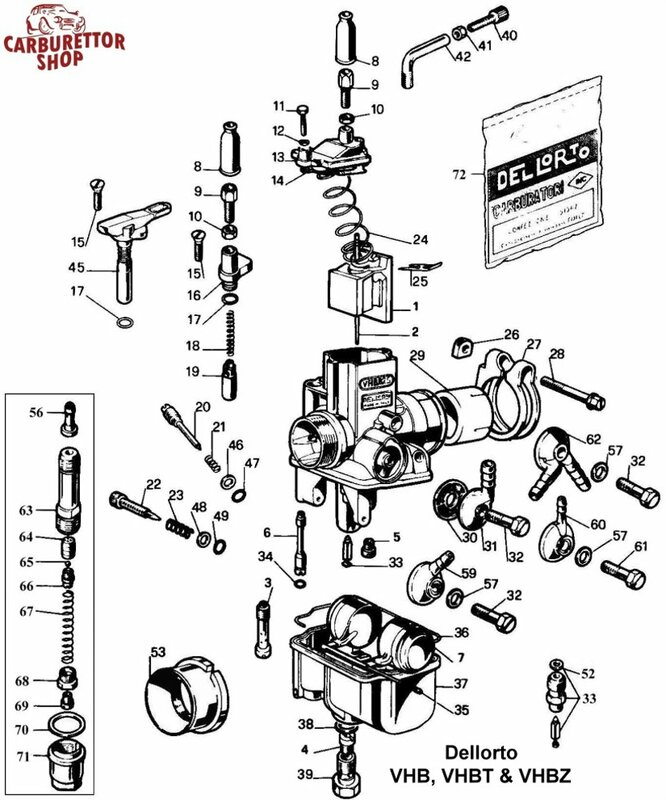 For linked carburettors, please use Service Kit 52511.